The Zinc Air Battery Zinc-air batteries employ oxygen from the air to use in their cathode, and use an anode primarily composed of zinc and an alkaline electrolyte. The package includes 40 individual hearing aid batteries. The advantages of a zinc-air battery include flat discharge voltage, safety and environmental benefits, good shelf life, and low cost. In addition, zinc-air batteries have high volumetric energy density compared to most primary batteries. Chemistry: Zinc-air batteries produce electrochemical energy by using oxygen straight from the air. Oxygen becomes the cathode reactant, and is diffused directly into the battery. The air cathode uses an aqueous alkaline electrolyte to catalytically promote the reaction of oxygen, but is not depleted or transformed at discharge. The cathode is compact, yet at the same time has an almost unlimited capacity, and achieves high energy densities due to the additional volume available for the zinc anode. 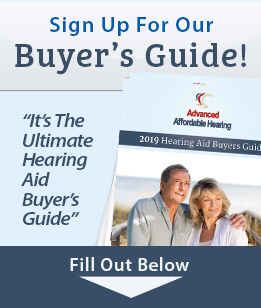 Additional Information Today, zinc-air batteries are used for such things as hearing aids, pagers, and medical devices. Zinc air batteries come in many shapes and sizes. They have an open-circuit voltage of 1.4 volts, and 1.15-1.35 at 20 degrees Celsius. The efficient cathode of these batteries, first developed during fuel-cell research for the space program, has since evolved with fluorocarbons becoming a polymer class. Many variables affect power, including the type of separator system, electrolyte, cathode catalyst, and regulation of gas diffusion. Zinc-air batteries can be made for high rate applications, which have a short life but high output, or low rate, with low power but lasting a long time. Gas diffusion must be regulated to control environmental tolerance versus the demand for power. 57 cents per battery - Best Price On The Best Batteries! Zinc Air Batteries have less than 2% per year shelf-life loss when stored at room temperature.